- In vitro efficacy against a wide range of microorganisms. - Elegant & clean formulation without extraneous buffers, preservatives, and surfactants. 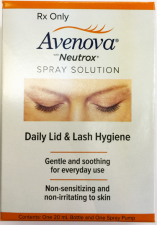 - Gentle, refreshing, and soothing for everyday eyelid and eyelash cleansing. 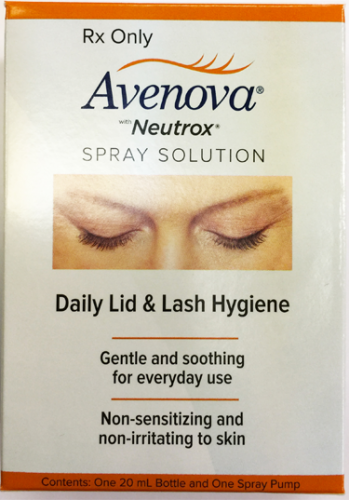 - Avenova is the only daily lid and lash hygiene product with NeutroxTM (pure hypochlorous acid). Hypochlorous acid (HOCl) is produced and released by neutrophil cells, part of the body’s natural defense mechanism against pathogens.